Midas Utara Engineering Sdn. Bhd was incorporated 19th March 2002 with a mission to provide services and solutions to challenging environmental engineering issues faced by various industries. 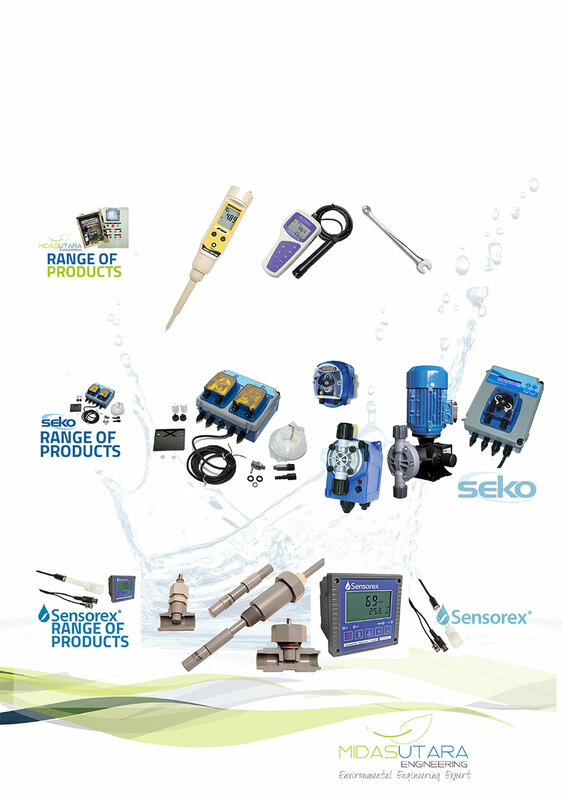 We are the sole distributor for SEKO (Italy).We supply SEKO instruments ranging from chemical dosing pumps to controllers that are used for multiple processes such as water treatment systems, automated detergent dosing for laundries, kitchen cleaning systems, swimming pools chlorine dosing system and many more. Among our services include consultation, design, fabrication, installation, maintenance and after sales services. We also specialize in Biogas flaring system and suppliers of Sensorex range of general and process sensors. The organization’s strength lies with the team of far sighted Malaysians whose combined dedication, knowledge and experience in environmental engineering provides a firm foundation. These capabilities are put together to generate complete and comprehensive solutions. We have vast experience in the waste water treatment with process control & instrumentation, cooling tower application, laboratory instruments, pharmaceutical & medical application, pulp & paper mills, edible oil industries and green energy (Bio-Gas System). Midas Utara Engineering Sdn. Bhd. does not draw the line solely to meet customers’ needs because we realize that it is crucial that we always thrive for better technology to serve customers and the environmental authority’s stringent eco-safe requirements. Hence, we support engineering design, installation, commissioning and guarantee after-sales-service for the complete range of pump systems, drivers, instrumentation and control equipment supplied.